I was first introduced to Community Servings last year, when they had a cooking class at the Boston Public Market. They prepare and deliver meals to people who are homebound, critically ill, and their families. It's not just mass produced food, but they really take care to prepare meals for each patient according to their dietary needs and illnesses. They rely on volunteers to help prepare the meal, and of course, funds from donations and fundraising activities. 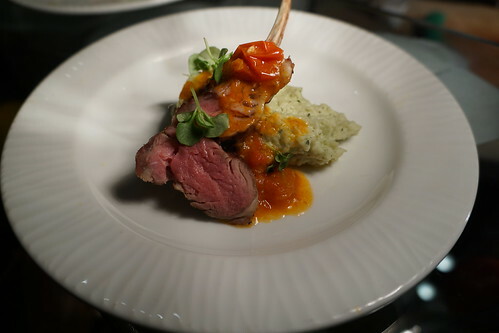 Their biggest fundraising event is the LifeSavor gala, a glamorous evening that takes place each year and involve many of the local restaurants. 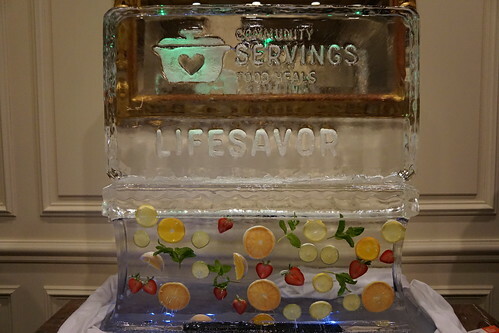 This year's LifeSavor will take place on May 4 at The Langham. LifeSavor starts with a luxurious cocktail party with silent auction and balloon pop raffle. After the reception, guests will be transported to one of 75 participating restaurants around the city for a wine-paired dinner. 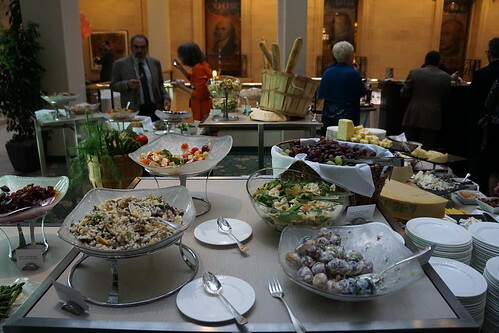 A spread of salads, pastas, cheeses, and more.